Dixie–Award-winning international author who is passionate about her roles as a mother of eight and an advocate for all children and the disabled. Her book’s and talks inspires others with the ultimate triumph of hope and love. 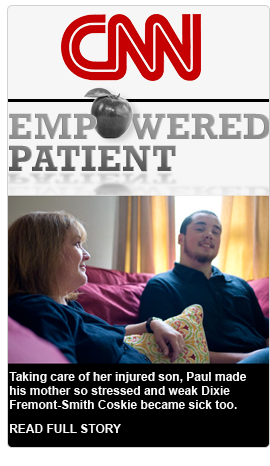 A mother’s narrative of perseverance following her son’s traumatic brain injury. 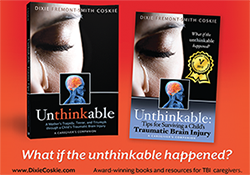 Unthinkable is filled with universal lessons of struggle and triumph. Following each chapter of the harrowing journey are vital insights to assist others through their tragedies. Follow Dixie’s Journey…a mystery, a love story, a prayer. 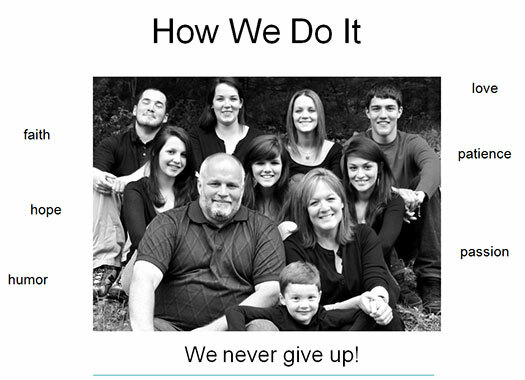 Paul’s crash and rehabilitation changed the lives of every member of my family. 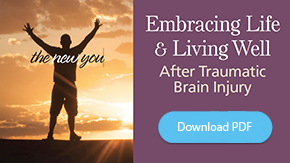 In “A Child’s World,” one of the last chapters in Unthinkable, each of my children shares his or her personal thoughts and perspectives on Paul’s brain injury. These pages offer a unique look into the hearts and minds of my children as they coped with our family’s catastrophic experience and tell, in my children’s own words, how they personally prevailed.